En Masse Entertainment, a player-driven publisher focused on delivering fun and innovative online games, today shared a first-look at four new dungeons to be featured in TERA: Fate of Arun, the first expansion to its award-winning, action MMORPG, TERA (PC). 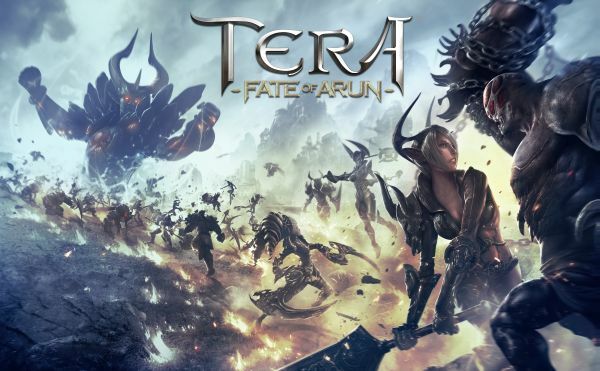 Set in the unexplored continent of Northern Arun, Fate of Arun finds adventurers facing a new-found threat determined to make Arborea, the world of TERA, its own. Soon, champions from warring factions must put aside their differences and band together to overcome new challenges and face deadly bosses in these four new dungeons: Sabex Armory, Macellarius Catacombs, Ravenous Gorge, and Bathysmal Rise. Key Features: Stop the forces of the Archdevan Imperial Army as they attempt to create weapons needed to win the war and conquer the Baraka city once and for all. Description: Although the Sabex Armory is a test of the players’ skill and teamwork in the face of terrible odds, the evil arcanist blood mages see the players’ arrival as an opportunity to test their latest, most insidious weapons under actual battle conditions. Key Features: Enter the Macellarius Catacombs high in the windswept mountains of Arx Umbra, in the darkest corridors of the archdevans’ citadel to find a nightmarish laboratory. Description: Here lies the dark lord Dakuryon and his legion of twisted arcanists conduct horrific experiments on living beings, using foul “blood magic” to reshape flesh and spirit creating abominations to crush resistance to Dakuryon’s rule… or just to satisfy his diabolical curiosity. Key Features: Home of savage beasts, where even the bravest warriors of the native Khirians fear to go – this jungle-shrouded grotto will be one of the most dangerous instances players will encounter in Northern Arun. Description: The Ravenous Gorge pits the Vanguard Initiative’s best against challenging yet familiar boss BAMs…culminating in a battle with the great bird Nimistrix, who launches attacks from the skies and can summon devastating windstorms. Key Features: Perhaps the most challenging new dungeon in Northern Arun, Bathysmal Rise is home to new bosses who employ a variety of new abilities and tactics to test teams of the most seasoned players. Description: No one knows exactly why the giants built Bathysmal Rise, or what purpose it served—only that it is still watched over by the strange beasts and sentinels the giants put in place centuries ago.